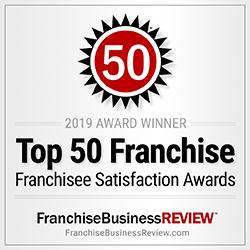 Leisure Systems, Inc. (LSI) holds a license with Warner Bros. for Yogi Bear™, Boo Boo™, Ranger Smith™, Cindy Bear™ and Yakky Doodle™ in connection with operating and franchising Jellystone Park™ Camp-Resorts. 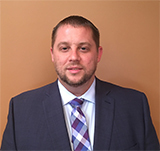 This license provides LSI a unique position in the campground industry and affords advertising and promotional benefits of significant value. Yogi Bear™ is one of the most widely known cartoon characters ever produced and is enjoying renewed popularity through the 2010 release of Yogi Bear – a major motion picture starring Dan Aykroyd and Justin Timberlake that grossed over $200 million worldwide. 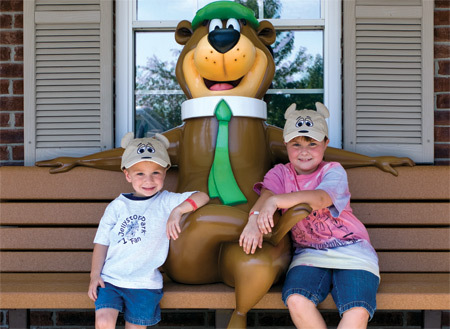 “When you add Yogi Bear, it adds so much excitement and brings life to your park. It’s amazing!” – Julie Corcimiglia, Jellystone Park™ Fremont, IN. 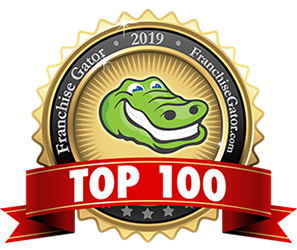 When camping enthusiasts think of Yogi Bear’s Jellystone Parks as a brand, “family” and “fun” immediately come to mind, according to an independent branding survey* by SureVista Solutions, LLC of East Lansing, MI. When asked to name words that describe Yogi Bear’s Jellystone Parks, “kids”, “family”, “fun” and “friendly” dominated the responses. 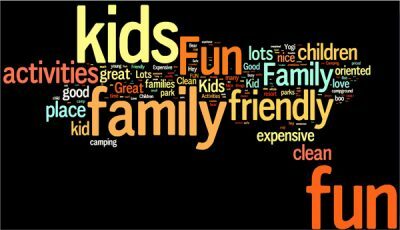 The research confirms our impression that Yogi Bear’s Jellystone Parks are leaders in family camping. 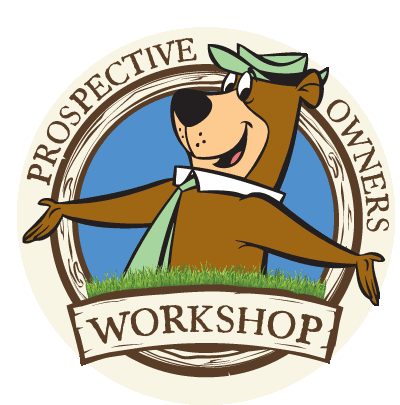 Our exclusive Yogi Bear license, resort-style amenities, and strong recreation programs appeal to the desires of today’s families. 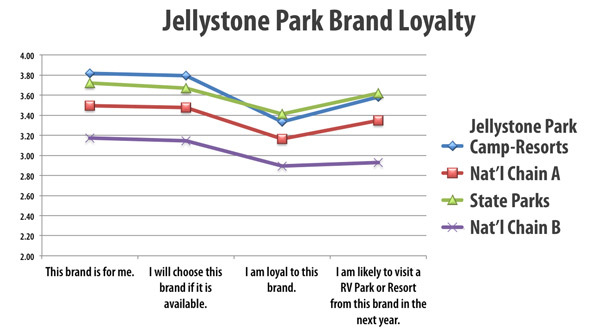 The SureVista survey found widespread awareness of the Jellystone Park brand among campers who had not camped at a Jellystone Park before. While America’s national parks scored the highest level of overall awareness, with 65 percent, Jellystone Parks came in second with 60 percent among those who had never visited a Jellystone Park before. 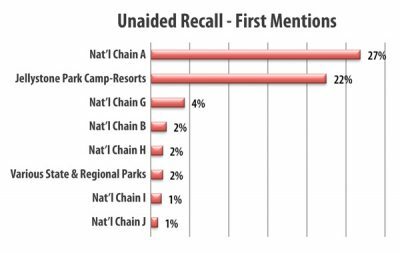 When asked to write in the names of all the RV Park and Camping Resort brands they could think of, Yogi Bear Jellystone Parks garnered 22 percent of the respondents’ first mention, being surpassed narrowly (at 27 percent) only by a much larger national chain that has 6 times the number of locations of Jellystone Parks. When consumers were shown images of park logos, however, 85 percent of respondents indicated they were familiar with Jellystone Parks, surpassing recognition of that same national chain by 2 percent. *These and other findings were discovered in an email survey of 1,238 campers, which SureVista conducted between Sept. 16 and Oct. 15, 2015. 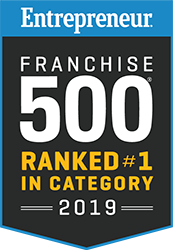 Brand names of competitive chains were not included out of courtesy to them. Full details and data are available upon request.